MOSCOW, March 6. /TASS/. New ‘breakthrough’ weapons outlined by President Vladimir Putin in his State of the Nation Address to the Federal Assembly on March 1 will arrive for Russian troops on schedule, Defense Minister Sergei Shoigu said at the ministry’s conference call on Tuesday. "The president presented a number of most advanced developments of the defense sector, noting that some weapon systems had already arrived for troops. I want to emphasize that all the measures that have been mapped out will be implemented within the timeframe set by state contracts," the defense minister said. "The supreme commander-in-chief highly praised the work to strengthen the armed forces and enhance the country’s defense potential. He stressed that today Russia has a modern, compact and hi-tech army," Shoigu said. 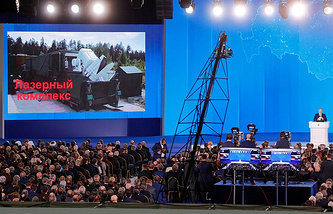 In his State of the Nation Address to both houses of Russia’s parliament, Putin announced about the development and trials of the most advanced strategic weapons Russia was creating in response to Washington’s unilateral withdrawal from the ABM Treaty and the deployment of the missile shield both on the territory of the United States and outside its national borders. 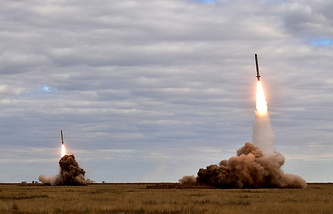 The breakthrough weapons include the Sarmat new intercontinental ballistic missile (ICBM), the Kinzhal hypersonic missile, the nuclear-powered cruise missile and the drone submarine that can be armed with both conventional and nuclear charges. 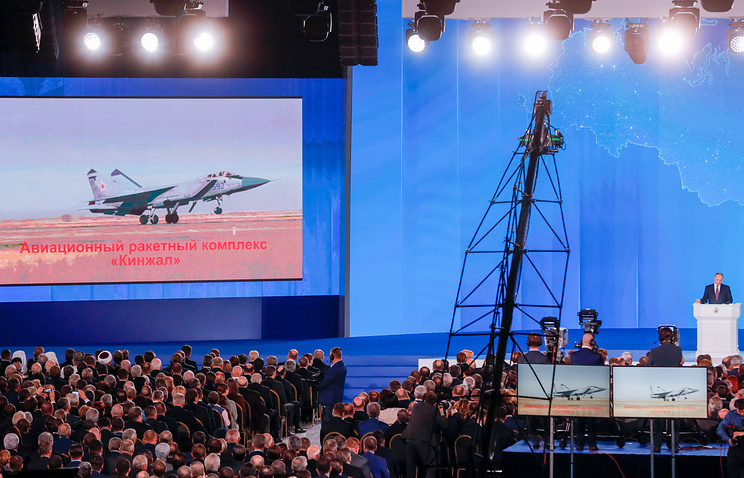 The Russian leader stressed that Russia’s growing military might was a reliable guarantee of peace on the planet while all the work to strengthen the country’s defense capability had been carried out within the framework of existing arms control international treaties.